Weight: 188 Rhonda Mapp was a standout basketball player for both Asheville High School and North Carolina State University. She played in the WNBA for the L.A. Sparks. She was a member of the Asheville High Lady Cougars State Championship Basketball team in 1987. 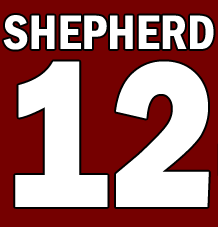 Randy Shepherd graduated from Asheville High School in 1982 with averages of 15 points and eight assists a game in his senior season. Shepherd continued his career at UNC Asheville.He founded Crossfire, the popular local sports ministry, with Jamie Johnson in 1993. Head Basketball Coach: University of Tennessee One of the most decorated high school players in the state of North Carolina, Peterson was a Parade and McDonald’s All-America selection coming out of Asheville High School. He was named the North Carolina Player of the Year and Athlete of the Year as a senior. The runner-up for both awards was future college roommate Michael Jordan.The Asheville, N.C., native earned four monograms at North Carolina, serving as a team captain during his senior season in 1985. During his four seasons in Chapel Hill, the Tar Heels captured four Atlantic Coast Conference championships and one ACC Tournament title while recording a 115-22 record. A member of UNC’s 1982 national championship team, Peterson was voted the Outstanding Senior by his teammates following the 1984-85 season.Following his collegiate career, Peterson was drafted by the Cleveland Cavaliers in the 1985 NBA draft. He also spent one year as a scout for Bob Gibbons’ All-Star Sports recruiting service before beginning his coaching career at Appalachian State. Peterson was named the 16th head coach in University of Tennessee history on April 4, 2001 after leading the University of Tulsa to a 26-11 record and a National Invitation Tournament championship during the 2000-01 season. In seven seasons as a head coach he has recorded a 137-78 career record. In all, he has coached seven teams to postseason tournament action, including three NCAA Tournament appearances and four National Invitation Tournament appearances. Additionally he played in four NCAA Tournaments at North Carolina. He has won conference championships (as the head coach at Appalachian State), NCAA championships (as a player at North Carolina) and NIT championships (as the head coach at Tulsa). At Western Carolina University, Logan averaged 30.7 points a game and is still the all-time leading scorer in school history (3,290 points). But the social significance of his career in Cullowhee was even greater. Logan became the first African-American to play basketball at a predominately white school in the Southeast when he stepped on campus in 1964. As for his school records, Logan scored 60 points in a game against Atlantic Christian in 1967. He also holds the record for most points in a season (1,049), a career (3,290) and highest career points average (30.7). After his tenure in Cullowhee, Logan advanced to professional basketball from 1968 – 1970. On the pro circuit, he played for the Oakland Oaks, Washington Caps, and Virginia Squires; while this makes him seem like a journeyman, these three teams were actually the one-in-the-same. Each year that he played, the franchise moved. After a short professional career in the American Basketball Association, Logan battled alcoholism. But once he turned his life around, Logan turned to religion and became friends with Randy Shepherd in 1989. The two men have since spoken to children and church groups together and are involved in their own basketball camps during the summer. 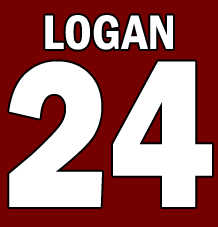 In 2000, the North Carolina Sports Hall of Fame inducted Logan as member of its 37th class. Others in his induction class included Duke head coach Mike Krzyzewski and Carolina Panthers’ owner Jerry Richardson. Jersey Number: 22 Height: 5′ 10″ Weight: 165 Biography from College Football Hall of Fame:Charlie Justice stood o­n the sidelines as North Carolina began its scrimmage game with Guilford that afternoon in 1946. “He’s not even first string,” noted a bystander, sizing up the 5- foot-10, 165-pound Charlie. “If he’s the hottest football property in America, why isn’t he a starter?” Indeed, “Choo Choo” Justice did not look to be the greatest football player in his era – at least not standing o­n the sidelines. But Tar Heel coach Carl Snavely was about to prove a point. “Go in at tailback,” Snavely told Charlie. 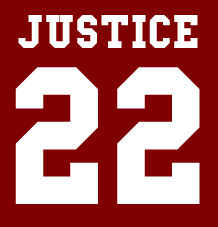 o­n the first play, Justice took the ball, darted, twisted, faked and literally flew 65 yards to a touchdown. There was a stunned silence, except for Snavely, who uncharacteristically jumped for joy o­n the sideline. Justice had lived up to his credits as a two-time All-Carolina schoolboy star and a World War II football hero for Naval training teams. Following active duty, Justice refused several pro offers in order to attend North Carolina. The Era of Justice had begun. During his four seasons, the Tar Heels went 32-9-2, as Justice scored 234 points (72 as a freshman) and threw for 25 touchdowns. He was all-Southern Conference four times and All-America twice. Charlie set 11 UNC school records. Justice played in the NFL for the Washington Redskins. 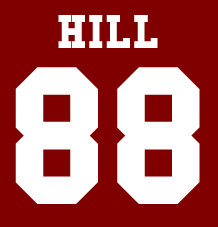 Height: 6′ 1″ Weight: 210 Biography from College Football Hall of Fame:Dan Hill toiled in the gridiron trenches for the famed Iron Dukes of 1938. 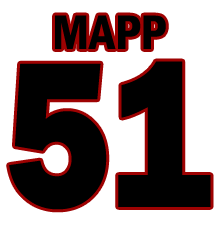 He was a center in the o­ne platoon era when centers were also linebackers. He was All-America and co- captain of the 1938 Duke University team. The Iron Dukes won five games with the score 6-0 or 7-0. They were undefeated, untied and unscored upon in the regular season, losing finally in the Rose Bowl when Southern California scored with just 41 seconds left to play. His coach, Wallace Wade, called Hill “The heart of the team.” In o­ne game the regular quarterback was injured, and Hill called the plays. Duke had a 25-4-1 record in his three years. He graduated with honors, spent four years as a naval officer in World War II, and served Duke as assistant director of athletics, 1946-53. He left Duke and entered private business. 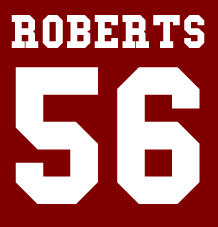 Jersey Number: 56 (Asheville), 73 (Seattle Seahawks) Biography:In 1991, Roberts was a first-team All American at the University of Virginia. 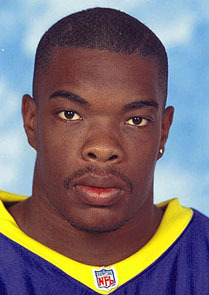 In 1992, Roberts was a NFL First round draft pick for the Seattle Seahawks. He also played for the Detroit Lions. Ray has also been a great supporter of Asheville High School athletics, donating athletic equipment, footwear, and other items to school sports teams. Jersey Number: 30 (Asheville), 91 (St. Louis Rams) Asheville High School retired football jersey #30 in honor of Leonard Little at halftime of the North Buncombe game o­n November 4, 2005. Cougar Sports Network Executive Producer Tim Amos and AHS Coach Gene Hammonds made the presentation. A 1993 graduate, Little played for Asheville High from 1989-92. He was All Conference for three years, All State his senior year, and represented North Carolina in the Shrine Bowl. Asheville’s records were 11-2 and 8-3 during his last two seasons. 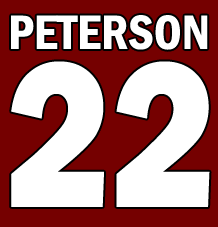 Little continued his career at the University of Tennessee where he was All Southeastern Conference in 1996 and 1997, and was named to the 1997 AP All America team. He played in the Orange Bowl for the Vols in 1998. 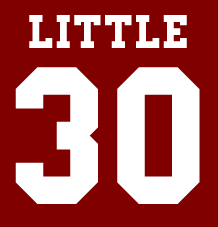 Little was drafted in the third round (65th overall) by the St. Louis Rams in the 1998 NFL draft. To date, Little has played in two Super Bowls and o­ne Pro Bowl and is considered o­ne of the best defensive linemen in the NFL. Member of U.S. Olympic Swim Team at age 15 (1972 in Munich Germany); finished 6th in 400 IM event with a time of 5:09.98; a new World Record of 5:02.97 was set during this race.